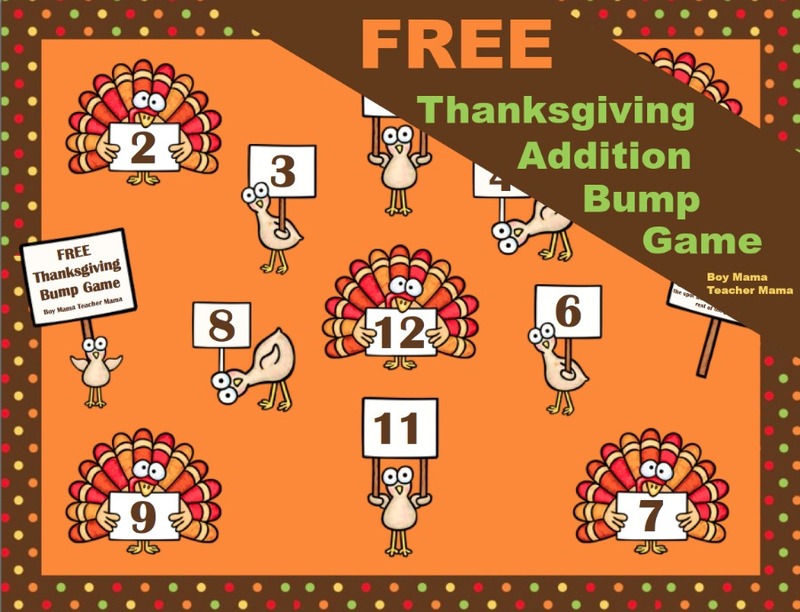 I have seen all these math “bump” games floating around Pinterest and TPT and had no idea what they were all about. So, I did a little investigating and learned what they are all about. Then, of course, I had to make a game or two to play with my first graders. 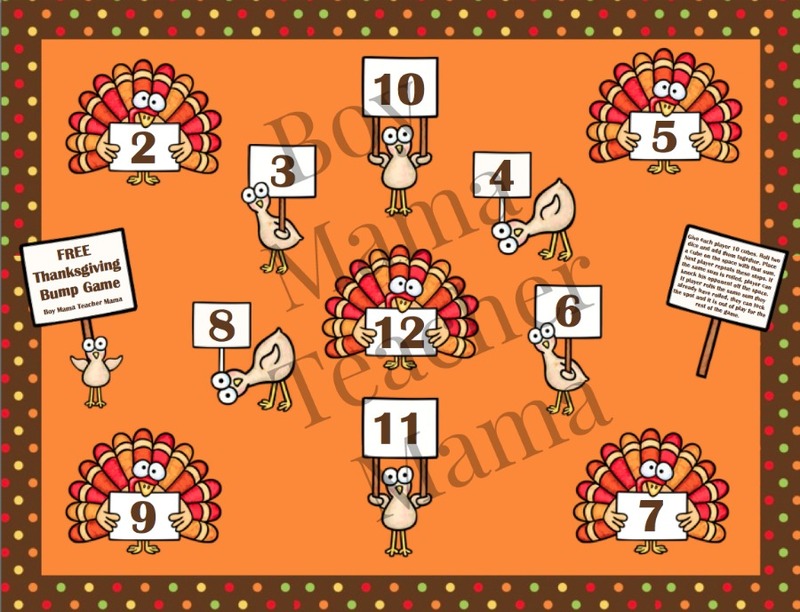 And, since it is Thanksgiving next week and all, I figured a turkey theme would be fitting! So here it is, my very first “bump” game! Player 1 rolls the two dice and determines the sum. Player 1 then puts one of his colored cubes on that sum. 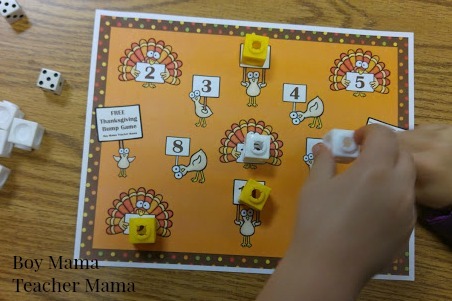 Player 2 rolls and determines the sum. Player 2 puts her cube on that sum. If that sum is already occupied by her opponents cube, she can “bump” him off and take the spot. If that sum is already occupied by her own cube, she can attached a second cube to the first cube and “lock” the space. That space is then locked out and no longer in play. Players continue to play until one player has covered 8 of the 11 spaces or until the allotted time is up. That’s it! Sounds pretty fun right? Well, it is yours for FREE. Simply click HERE to download your own copy for your home, homeschool or classroom. Enjoy!